Have you decided to join the cord-cutting movement by ditching cable and embracing the television antenna? 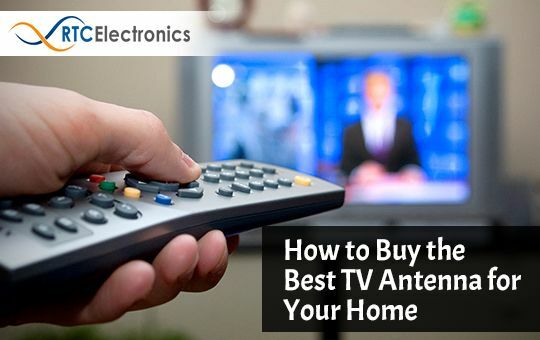 If so, make sure to choose the best TV antenna for your home that enhances your television viewing experience. Figuring out which antenna will be the best option for you depends on several factors. It includes where you live, where you are placing the device, what is its use and what specifications you want. Among the vast variety of antennas available, choosing which one will work best for you is challenging. Here’s a guide that can help you with the selection by explaining what to look for in the device. In television broadcasting, cord-cutting refers to the practice of cancelling a pay television subscription connection and choosing an alternative wireless or Internet-based service. The first thing to consider when purchasing a TV antenna is to know what channels you’ll get after giving up cable or satellite and how strong these signals are. Now the question is – how do I find out? There are several free tools and websites like ‘AntennaWeb’ that can guide you on what type of antenna you need. Simply enter the zip or postal code of the area where you live and the website will automatically organize the results showing the channels you’ll get, the location of the broadcast and the antenna strength required to receive these channels. This information will help you in narrowing down your search on the basis of range and directivity of the antenna. The frequency coverage of an antenna is a key point to consider. Generally, antennas can pick up either of the two frequencies; UHF (Ultra High Frequency) or VHF (Very High Frequency). To choose between the two frequency coverage options offered by antennas, you must decide what type of channels you would like to pick. For TV sets, UHF antennas provide channels 14 to 51 and VHF antennas provide channels 2 to 13. If you want more channels on your television, then go for UHF as it has 38 channels, unlike VHF with only 12 channels. 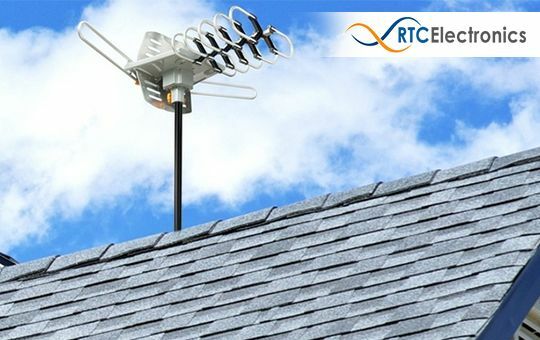 But, if you want to get digital TV channels, then opt for hybrid antennas that can receive both UHF and VHF signals. Deciding between an indoor and outdoor antenna is necessary as the strength of reception depends on where you’ll put the equipment. Indoor antennas usually underperform compared to outdoor antennas as walls, electrical devices inside the house and other obstructions reduce the signal and increase the interference level. On the other hand, outdoor antennas are better at receiving signals. People living in high signal areas can go for internal antennas as they can perform well there. If your house is at a distant location from the broadcasting tower, then an external antenna is your best bet. However, the cost of erecting an outdoor antenna and installing the cables is relatively higher. The hunt for the best TV antenna for your home would be fruitless without considering the sensitivity or directivity of the equipment. It refers to the direction in which the antenna can receive signals. There are two types of antenna based on the direction of their reception, directional and multi-directional. As the name suggests, multi-directional antennas can pick up signals from multiple directions and provide more channels on your television, thus being an ideal option for cities. On the other hand, directional antennas grab signals coming from one direction, perfect for suburbs. But, they tend to be more powerful compared to multi-directional as they can receive signals from farther away and reduce interference from unwanted sources. If you live in an area where the broadcast signal is weak, then you must look for an antenna with an amplifier that can boost the signal. Amplifiers help plug the antenna into a wall outlet so that it can bring in channels broadcasting from a distance and increase the quality of the reception. However, if you don’t want to buy an amplified antenna, then simply use a coaxial cable longer than 50 feet to boost the signal of a non-amplified antenna. Buying an antenna for your television is normally a straightforward process. But, to make the most of your purchase and get the best TV antenna, you should be specific of what you need and which equipment will be suitable for your location. The above-mentioned guide will help you look for the perfect antenna with features that fit your requirements. Once you have decided which antenna to buy, visit our electronic store in Mississauga and get the desired equipment for the best price.